Meghna Gulzar’s upcoming film Nyodda, based on the sensational Aarushi Talwar murder case, has apparently been approved by the slain girl’s parents Dr Nupur and Dr Rajesh Talwar, who are now in prison. The film was earlier titled Talwar. Apparently, Aarushi's aunt Vandana Talwar, who has been campaigning to prove the parents’ innocence, has provided the relevant material. “There are some documents written from Aarushi’s parents’ perspective, and it was provided to Vishal Bhardwaj, who scripted the film. That served as the basis of the plot," the insider added. Konkona Sen Sharma and Sohum Shah play Aarushi’s parents, while Tabu plays Aarushi's aunt. 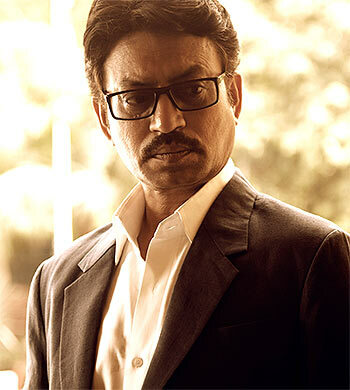 Irrfan Khan plays the officer investigating the case.